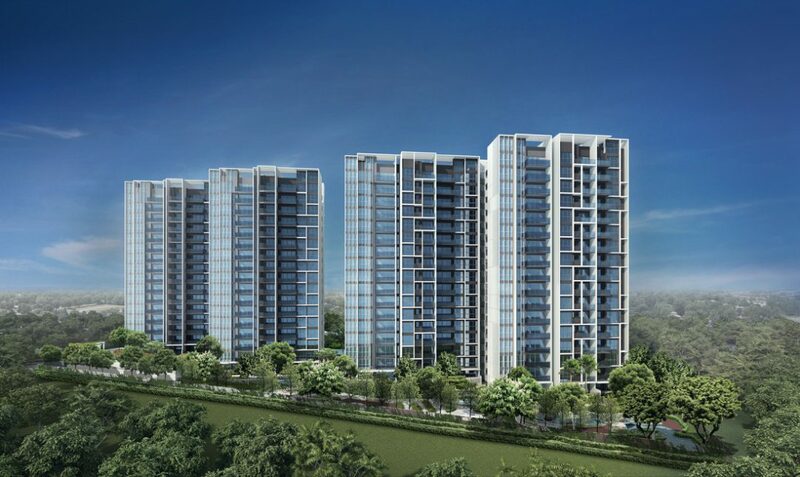 Located next to Bartley MRT, Bartley Ridge is a new development by Mount V Development Pte. Ltd. (A Joint Venture between reputable developers Hong Leong Holdings Ltd, CDL and TID). Its quiet and exclusive location at the city fringe is ideal as an escape from the hustle and bustle of work, yet it is just a 1 minute walk to Bartley MRT via a sheltered walkway at the side gate, offering unbeatable accessibility. Bartley Ridge is a short 10 to 15 minutes’ drive to the CBD and Orchard, and is served by major expressways such as the KPE, CTE and PIE. The Bartley-Tampines link viaduct brings further accessibility to the East, reducing driving time to Tampines Regional Centre to about 5-8 minutes, as well as bringing Changi Business Park, IKEA and Courts much closer. 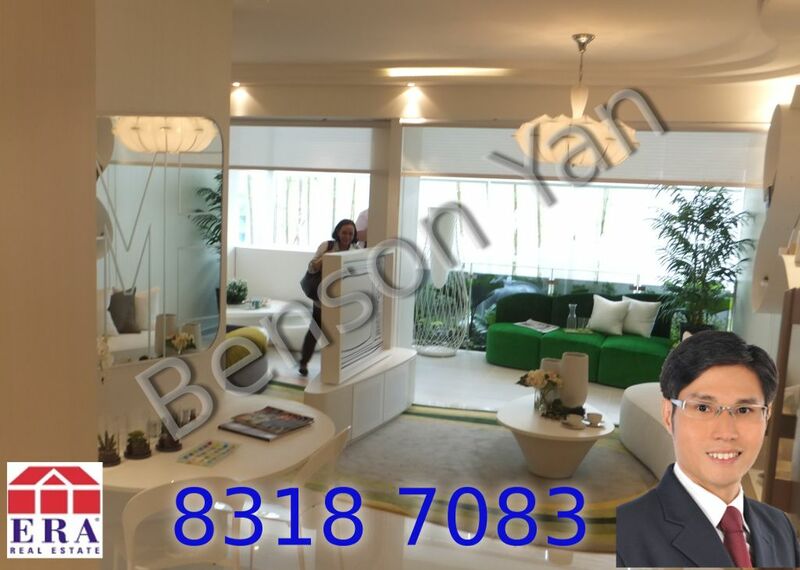 Bartley Ridge is also part of the Bidadari New Town, an up and coming prime residential estate that the government is committed to developing as part of the Master Plan. Read more about Bidadari here. 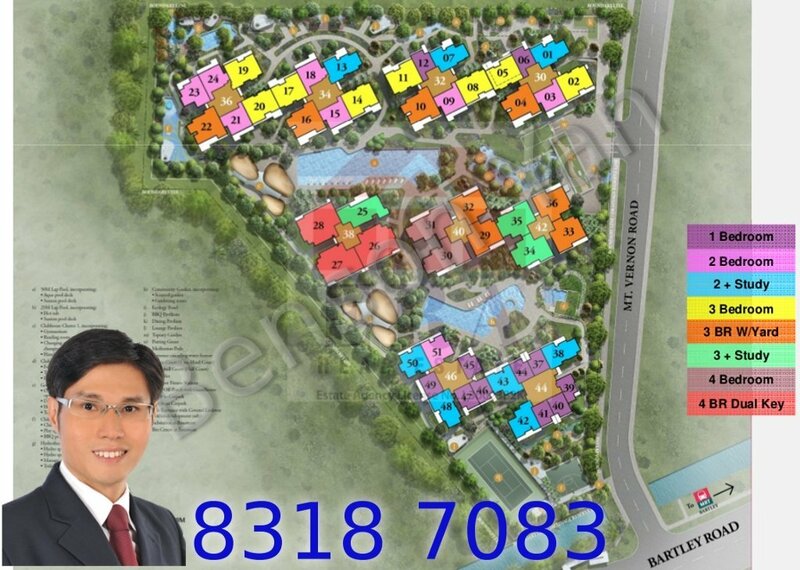 Bartley Ridge is close to shops and amenities, such as NEX Mall, Heartland Mall, and Junction 8. In addition there are many nearby schools such as Cedar Primary, Cedar Girls’ Secondary, St Andrew’s Junior College, St Andrew’s Secondary, Maris Stella Primary, Maris Stella High, Stamford International School, and Australian International School, with Cedar Primary and Maris Stella High falling within a 1km radius of Bartley Ridge. Available unit types include 1, 2, 3, and 4 bedroom units, penthouses, and dual-key units with a total of 838 units. All units have the ideal North-South facing, and most have either pool view, landscape view or unblocked view towards Bartley Road. Bartley Ridge features lush landscaping, with abundant water features to create a feeling of serenity and tranquility. The condominium will have a wide range of premium facilities, including 2 Lap pools (50m & 25m each), Tennis Court, 1/2 Basketball Court, 2 Clubhouses (with gym, reading room, 3 Function Rooms), a Gourmet Pavilion (outdoor dining/lounge with open kitchen, dip pool, hot tub), a Hydrotherapy Oasis (Hydro Spa Seat with massage jet, Hydro Spa Bed with massage jet, Massage Pavilion), a Community Garden (with Scent Garden & various garden zones), and Ecology Pond, BBQ/ Dining Pavilions, Putting Green. 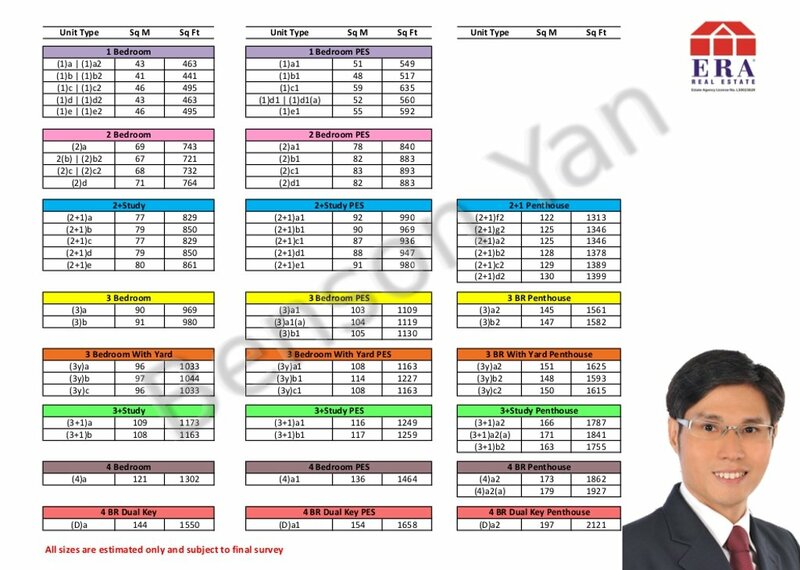 Available unit types are shown in the chart below (click to enlarge). See the full set of floor plans here.